So x isnt working to make my hippogryph go down any ideas? I assume you mean in the settings if so there isn't one for it. Esc > Options > Controls > Gameplay > Dragon Down/Baby Dragon off. You can also change the key binds for dragon strike and dragon breath which should be in the same section. When riding a dragon, the FOV can be changed under the Miscellaneous section. It is called "Change 3rd person camera for mount." This one will let you see much more around you while flying, so if you have a large dragon, you can see more without it getting in the way. I hope this helps. What is the lightning dragon? 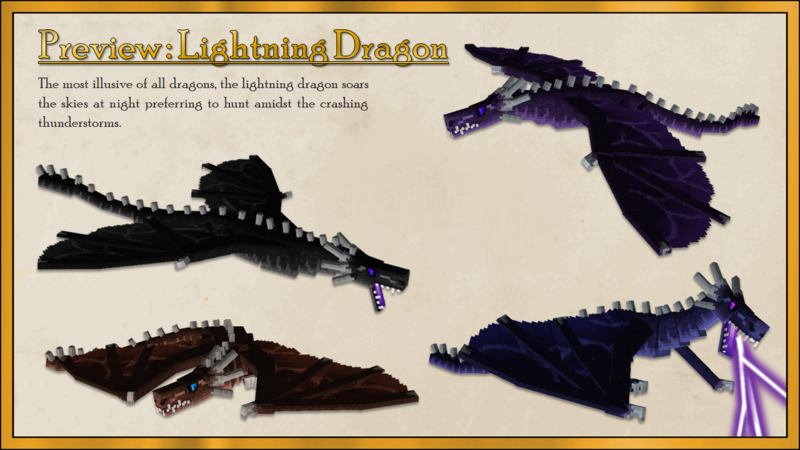 The Lightning Dragon is a new species of dragon planed to be added to Ice and Fire in a upcoming update. can you please make a config option for cockatrice grow time and/or a way to speed it up with a item or command or something thank you for providing the mod? 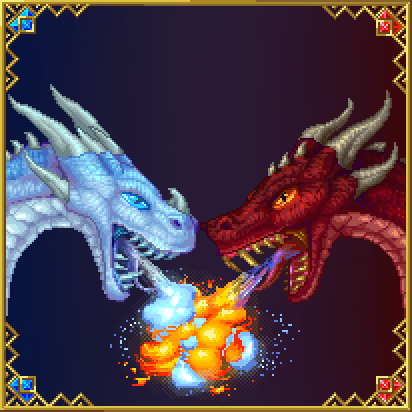 I want to play with only dragons; what would be the best way to do that? Just disabling the spawning of other creatures in the config leaves your minecraft bloated with all the items they're supposed to have, with no way to get them, right? I don't know for sure if that's how that works, but it seems to say it's just not allowing spawning, not fully disabling them from the game. The other option I considered is just downloading the 1.1 version of the mod. Is that viable, or are there major bugs in 1.1 that were fixed with later updates that also added creatures I don't want? It doesn't allow the other mobs to spawn and doesn't bloat the game with their items if you don't play in creative, i don't know why you would want to play with just the dragons but i hope what i said helps. I know the best time to release the Lightning Dragon. So you reveled it when Ice and Fire reached 1 million downloads, and my suggestion is to release it at 2 million downloads of the mod because your almost there, currently at about 1,850,000 as of this comment. But anyway its completely your choice when to release it. Ice Dragon can not lay egg after use dragon horn on it. Do you have beta testers or are looking for them? If you are looking so some I would be thrilled to help out.